We make purchasing a home with your Dallas VA loan easy than ever. If you need a Texas VA home loan in Dallas we can help you. If you are just starting the process and don’t know what to do, let us know. When you click the “get started” button on this page and send us your information, a Texas VA real estate specialist will call the same day to get you set up with one of our Dallas area VA Realtors. While we are on the phone with you, make sure you let us know if you need a loan and we’ll have a Dallas VA home mortgage lender call you at your convenience. We have several Dallas VA home loan lenders that will be happy to work with you. Your Dallas VA mortgage can be used to purchase an existing home, a new home or a VA approved Condo. Our affiliate Realtors have access to every listing available in the Dallas area MLS. Once you have decided on your home, it will take between 30 to 40 days to close on average. 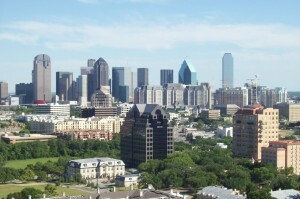 We cover all of Dallas and its suburb areas. USVA Realty provides services as far North as Frisco, as far South as Waxahachie, and from Arlington to Mesquite. Let USVA Realty show you how easy the VA process can be!